With only five main ingredients per recipe, besides seasoning and butter or oil, this is simple cooking at its best. Try the delicious lamb cutlets and the chocolate orange panna cotta (opposite). I hope you enjoy them as much as I did! Quarter the potatoes and scatter them over a roasting tray along with a good glug of olive oil and a teaspoon each of salt and pepper. Add the rosemary sprigs and toss everything together. Roast for 30 minutes, then halve the figs, add them to the tray and roast for a further 15 minutes. Meanwhile, fry the lamb: rub about 1 tablespoon of olive oil and a good pinch of salt and pepper into the cutlets. Heat a frying pan over a high heat and, once it is hot, add the cutlets, turning the heat down to medium. Fry for 4-5 minutes on each side. When the cutlets are cooked, transfer them to a plate and cover them with foil, then add the sherry to the pan (still on the heat) and stir to deglaze it and get all those meaty bits from the bottom of the pan. Allow the liquid to bubble up and reduce a little, add the juices from the rested meat then remove the pan from the heat. Serve 2 cutlets per person with a hearty portion of the potatoes, 5 fig halves each and a drizzle of the sauce. Have 4 x 180ml pudding moulds at the ready – or use ramekins or mugs. Roughly chop the chocolate and put it into a heatproof bowl. Submerge the gelatine leaves in a bowl of cold water and leave them to bloom – basically they go from being stiff to soft and floppy. In a saucepan, bring the cream to a simmer. Once it is simmering, add the orange extract and remove the pan from the heat. Squeeze the excess moisture out of the gelatine leaves, add them to the cream and stir until they dissolve. Pour the hot cream over the chocolate and leave it for 30 seconds to melt before stirring everything together into a smooth, glossy liquid. Divide the mixture between the pudding moulds, allow to cool to room temperature, then cover with cling film and refrigerate for at least 4 hours, though overnight is best. If you want to turn out the panna cotta, dunk each mould into a bowl of boiling water for just a few seconds, to just below the rim, before inverting onto a plate. If the pudding doesn’t slip out, give the mould a tap or two on the bottom. If it still won’t slip out, run a knife around the edge of the panna cotta and the mould, then try again. 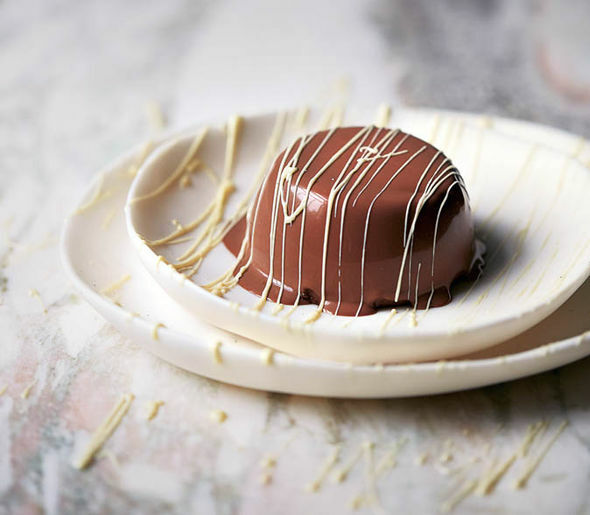 Melt the white chocolate in a heatproof bowl over a pan of barely simmering water – don’t let the bottom of the bowl touch the water – and drizzle it over the panna cotta. 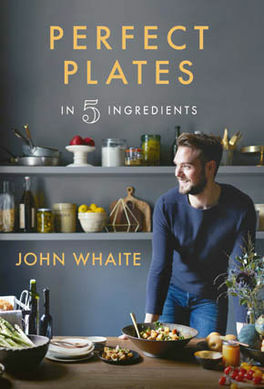 Recipes from Perfect Plates In 5 Ingredients by John Whaite (£18.99, Kyle Books), photos by Helen Cathcart. To order your copy, call the Express Bookshop on 01872 562310, send a cheque or postal order made payable to The Express Bookshop to Express Bookshop PO Box 200, Falmouth, Cornwall TR11 4WJ, or order at expressbookshop.com.